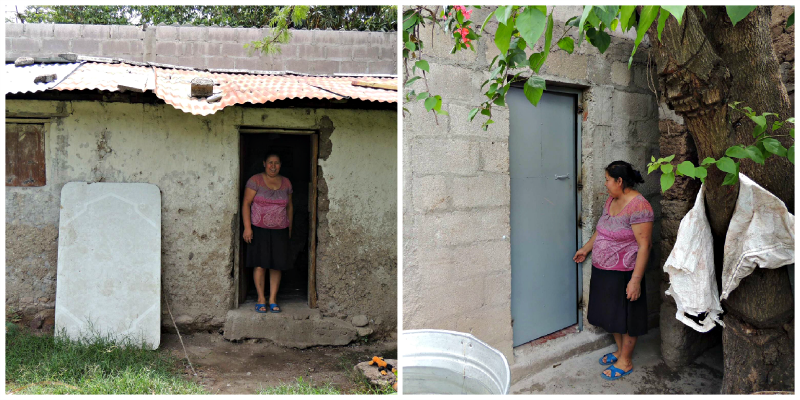 A few months ago, Hector Argueta, Pastor of Central Bible Church in La Paz, Honduras, saw that Harim Cruz and her family did not have any doors on their house which left them feeling very insecure. The church decided to partner with HOPE Coffee and installed two new doors on their home to give them better security. Today a group of neighbors meet every Thursday in Harim’s home to study the Bible together. Please pray that this open door for the gospel will result in their neighbors hearing the gospel message of Jesus this Christmas season!